In the early 1960s, former US Secretary of State Dean Acheson famously quipped that the United Kingdom had lost an empire, and not yet found a role. Afterwards, successive British leaders tried to change that, by forging a new role for Britain in Europe. The country’s just-concluded ‘Brexit’ referendum, in which a majority of voters expressed their desire to leave the European Union, represents the spectacular failure of that effort—and the end of an era. Britain’s journey toward Europe began in the early 1970s, when the firmly pro-European Prime Minister Edward Heath took the country into the European Economic Community, the EU’s forerunner. His successor, Harold Wilson, secured the membership with a 1975 referendum. And Margaret Thatcher signed the Single European Act, which created the single market—one of the most important steps in European integration, and one that owed much to British inspiration. Her successor, John Major, who campaigned actively for Britain to remain in the EU prior to the recent referendum, was instrumental in forging the Maastricht Treaty. While Tony Blair was in power, he spoke eloquently about Britain’s European mission. Then came David Cameron, who wavered in his attempt to keep the Conservative Party united, and ended up with losing both Europe and the party. To be sure, Cameron wasn’t necessarily pitching Europe to an agreeable audience. 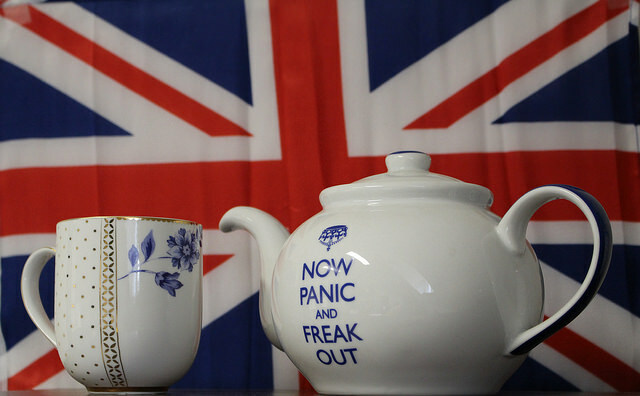 Many Britons retain a certain nostalgia about the past, which they recall as more familiar, controlled, and safe. That nostalgia was constantly reinforced by a vitriolic anti-European—and, in particular, anti-German—campaign spearheaded by some of the country’s leading media. To read the Daily Mail or the Sun in the last few years was to encounter a kind of atavistic nationalism—often backed by blatant lies—on a scale rarely seen in other European countries. But there was also a problem with the pitch. Fearing political fallout, even leaders who genuinely supported European integration hesitated to defend the EU in a bold or inspiring manner to their constituents. For their part, the leaders who opposed the EU, such as former London Mayor Boris Johnson, who led the ‘Leave’ campaign, simply continued to apply a tried and true formula: stoking the fires of fear-based nationalism. When British leaders crossed the English Channel to Europe, however, everything changed. Leaving their Euroskepticism behind, they continued to deepen the UK’s role in Europe. When I was Sweden’s foreign minister, I attended more than 130 meetings of the EU’s various ministerial councils, and I can honestly attest that the UK’s voice was among the most prominent in every one. The truth is that the EU that has emerged over the last decade has been shaped in no small part by the UK. Progress on the single market has helped to boost competitiveness. New free-trade agreements are giving European economies access to major markets around the world. The achievement of a global climate agreement promises not just to protect the environment, but also to cement Europe’s role as a leader in sustainability. And enlargement has enhanced Europe’s security substantially. These are, by all reasonable standards, remarkable UK-led achievements. But this was mostly a well-guarded secret back home. And that is the failure that lies at the root of the calamity that is Brexit. The UK has now officially lost its chance at securing, once and for all, the leading role in Europe that was there for the taking. What is more, the UK’s national political landscape is in ruins. The Conservative Party is deeply split; the Labour Party is inert under a nostalgic leftist leadership; and the Liberal Democrats have more or less left the scene. And the UK may be headed toward further ruptures. Nicola Sturgeon, the first minister of Scotland, which overwhelmingly voted to remain in the EU, has said that another referendum on Scottish independence is ‘highly likely’, calling the removal of Scotland from the EU ‘democratically unacceptable’. While the likelihood of a breakup remains impossible to predict, the virus of political divorce has certainly proved contagious—and a more fragmented Europe is undoubtedly a less safe one. In answering one question, elderly English voters—the core of the ‘Leave’ electorate—have raised a bevy of new ones. Will the UK settle for a satellite-type relationship with the EU? Will it become little more than the rural hinterland of an offshore financial center on the Thames? Will its leaders find yet another role for it to play in the world, or allow their country to fade slowly into irrelevance? Only time will tell. In the meantime, the UK is set to endure substantial political and economic pain.